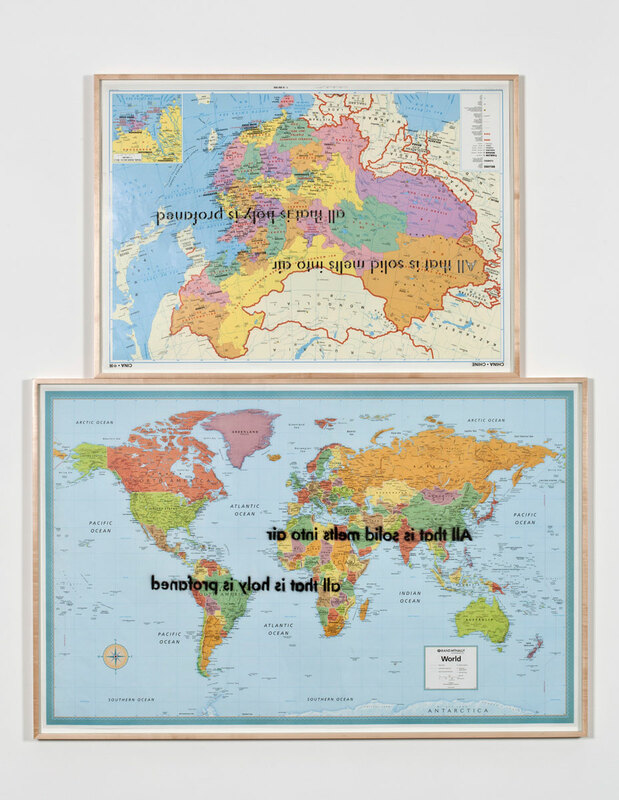 Blum & Poe is pleased to present an exhibition of new works by Los Angeles based artist Sam Durant titled “Laissez faire et laissez passer, le monde va de lui même.” Durant borrows this quotation, which translates to “Let do and let pass, the world goes on by itself,” from Vincent de Gourney, a French commerce secretary who popularized the slogan in the mid-eighteenth century. 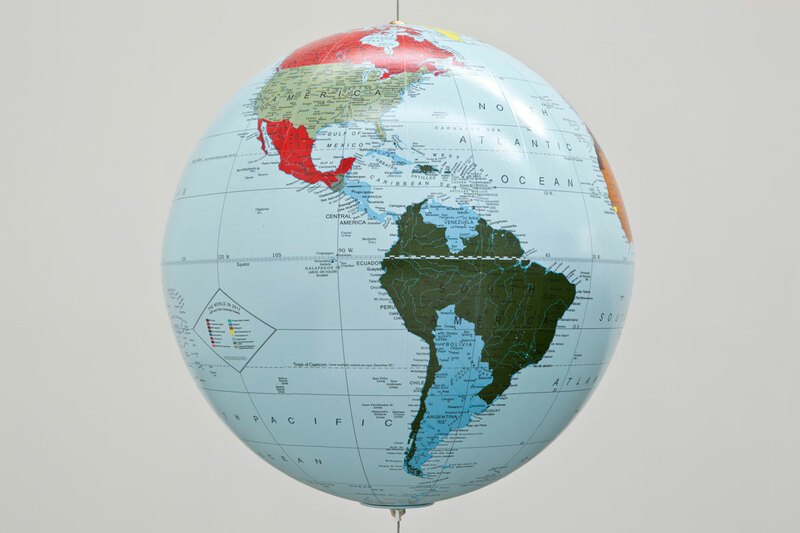 The shortened version, “laissez faire,” has since become widely used to signify free market or neoliberal economic policy. 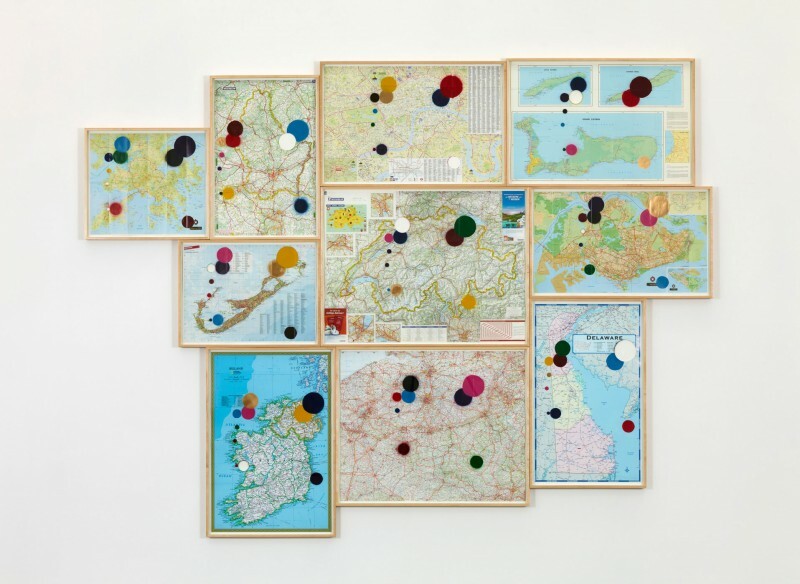 Durant offers the viewer an opportunity to reflect on the larger meaning and implications of “mapping” (who makes the map and who gets mapped) and the presentation of information through cartography, which, when in the hands of Durant, provide information on the various effects of neoliberalism. 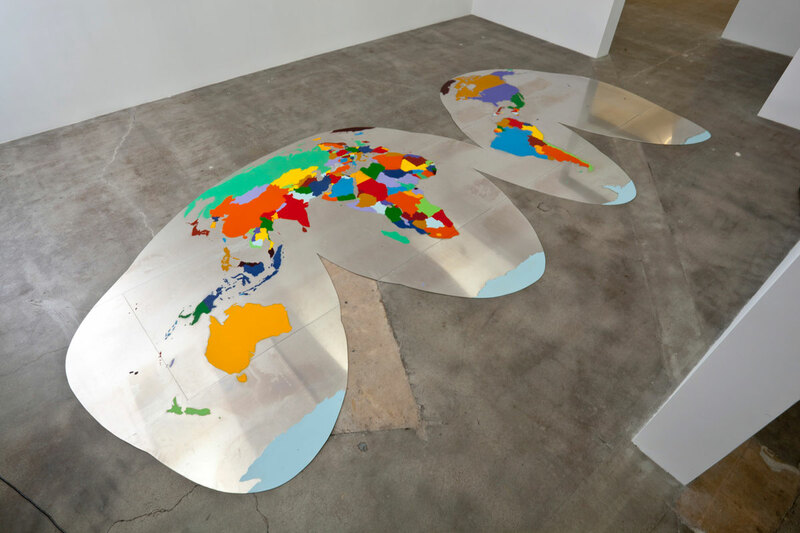 The exhibition is divided into three related groups of works; a series of globes, a series of altered maps and a large aluminum floor map through which the viewer is invited to walk. 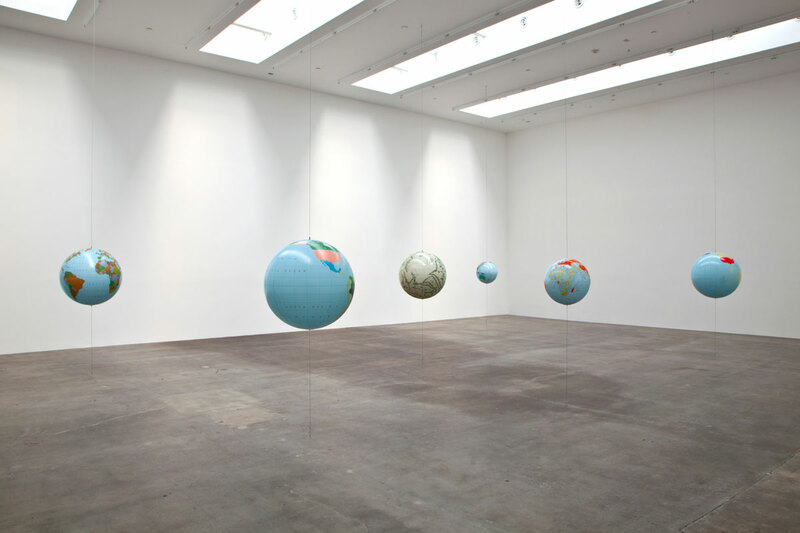 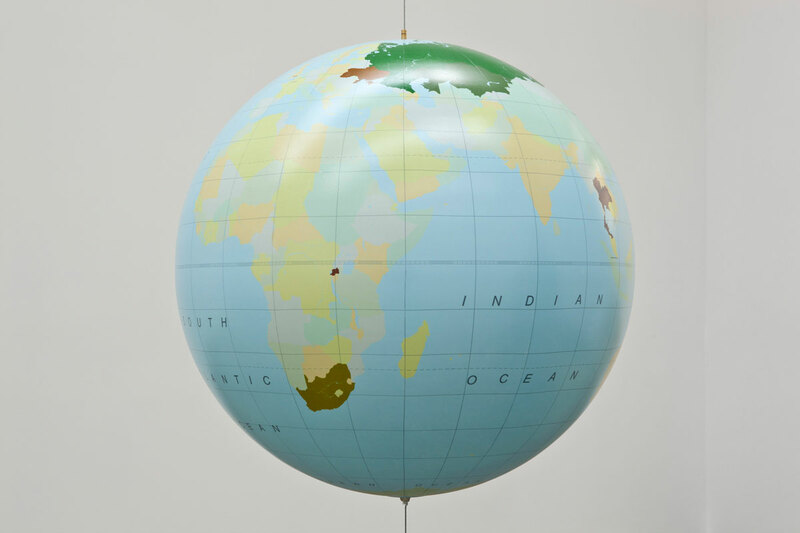 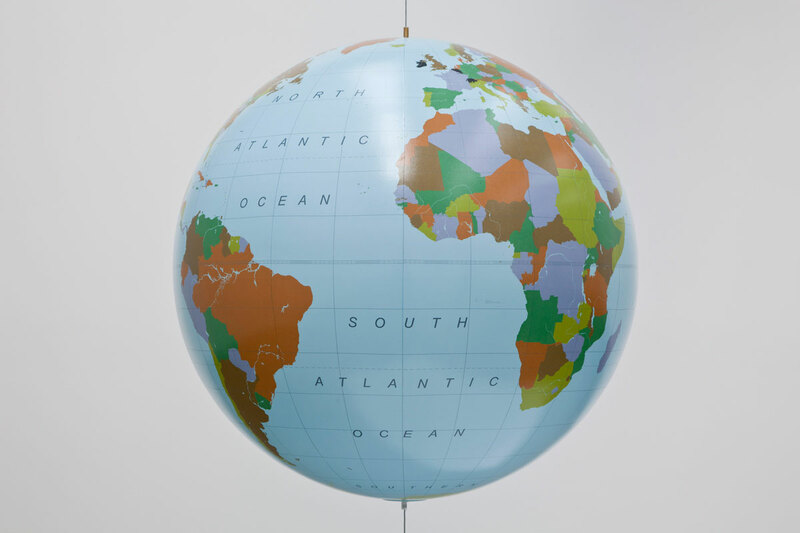 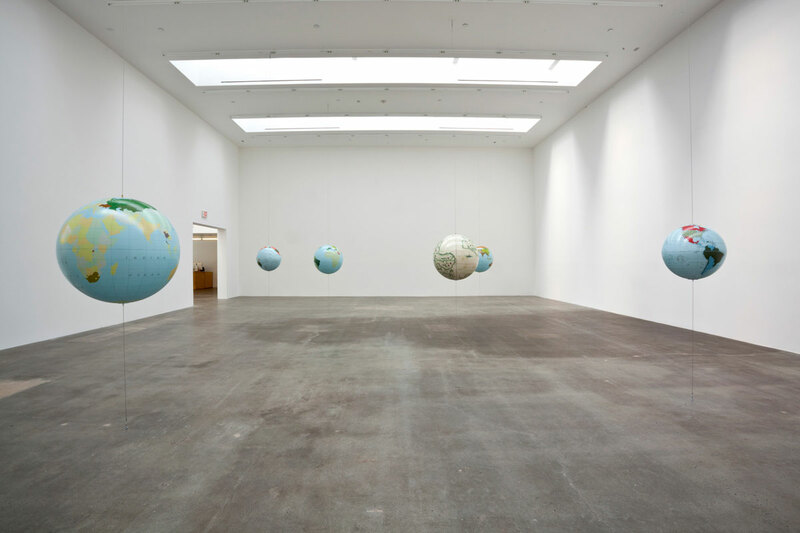 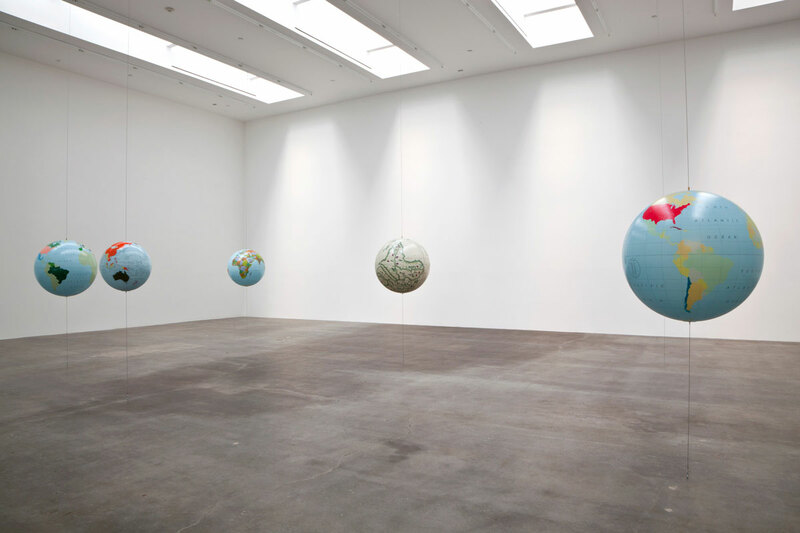 In the first and largest gallery, Durant has worked with the Illinois-based globe-making firm, Replogle, to produce six unique large-scale globes, which have been suspended from the ceiling and floor, allowing them to hover freely in space. 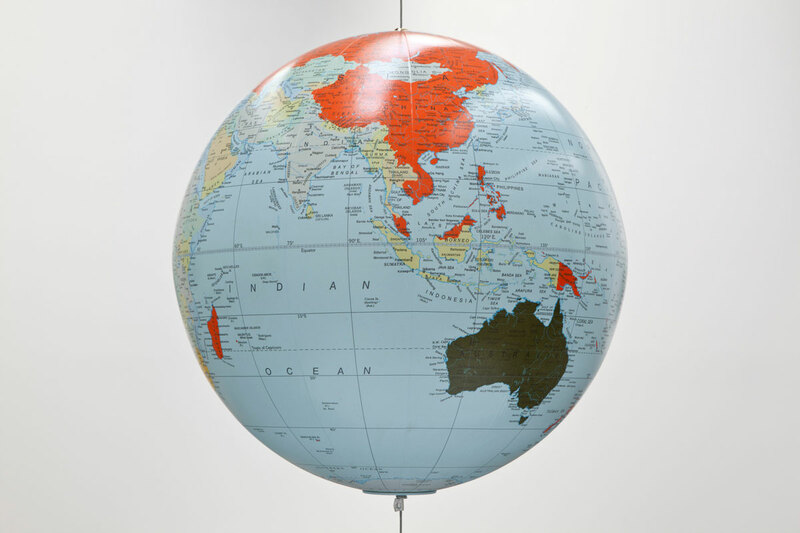 The globes depict a range of unusual data either directly or obliquely referring to economic issues such as states or nations with the highest rate of money laundering or top gold mining and pork producing nations. 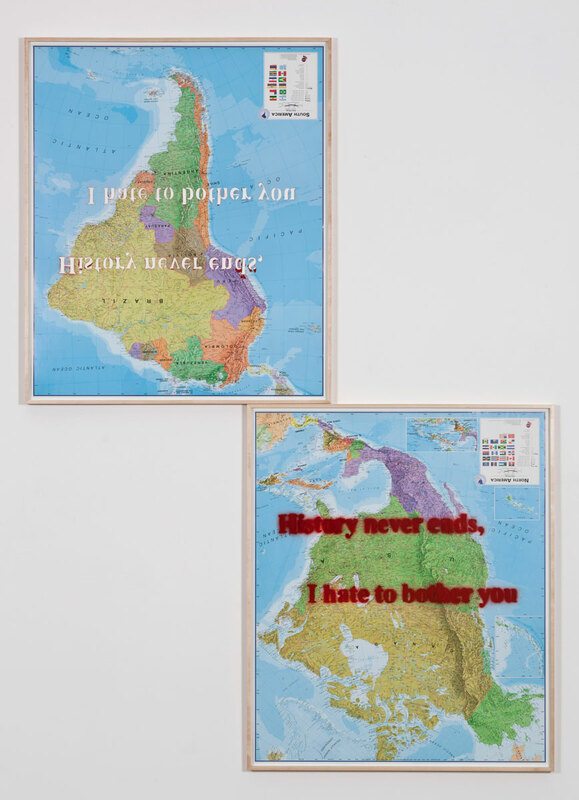 Repurposing commercially produced wall and travel maps, Durant has also produced a series of altered and collaged pieces, layered with cut and stenciled political texts and quotations, that explore historical issues of imperialism and the ways in which they connect to present day geo-political conditions. 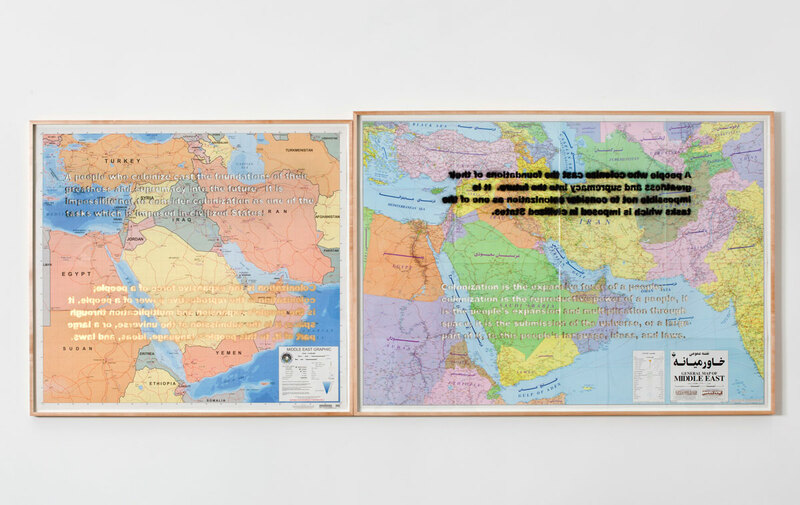 As in previous bodies of work, Durant employs the aesthetic of protest signage and political subcultures to give voice to those less often heard. 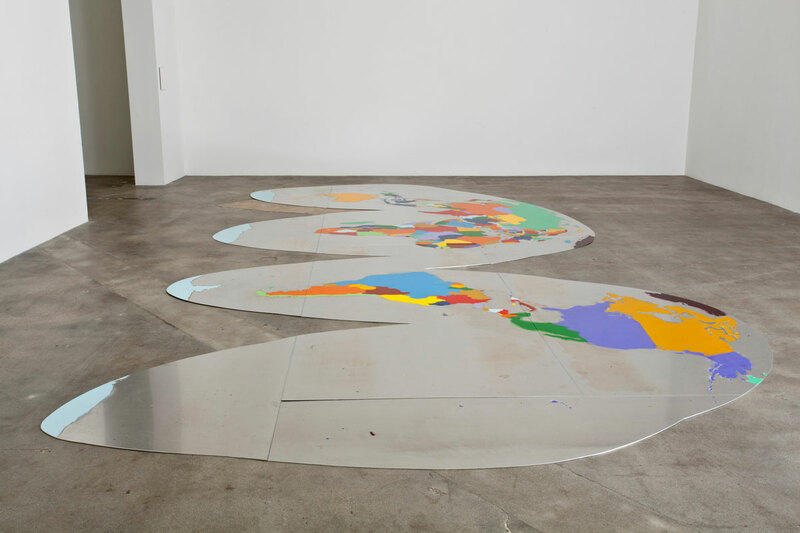 The exhibition concludes with a twenty-four foot long sheet metal floor map, which is cut into the shape of a Goode homolosine projection (colloquially referred to as the “orange-peel” map) with the continents and countries colorfully stenciled on. 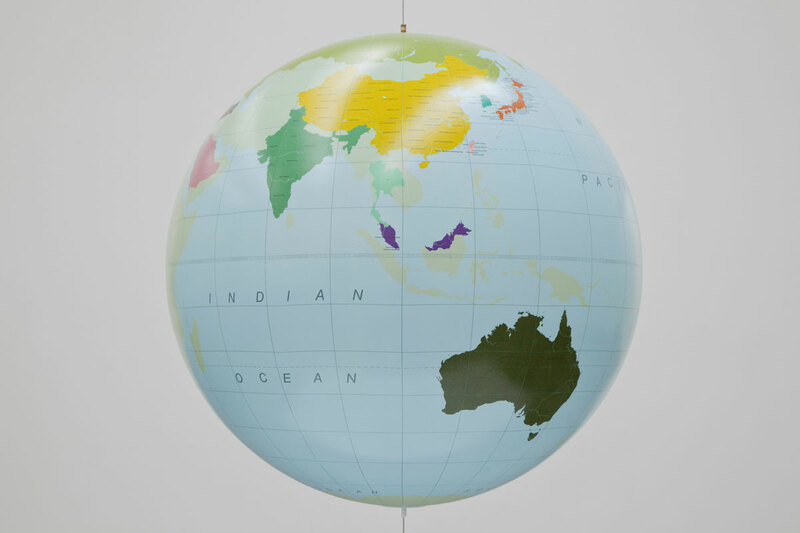 The map is a mirror image, creating the effect of standing inside the world and looking out towards the earth’s surface. 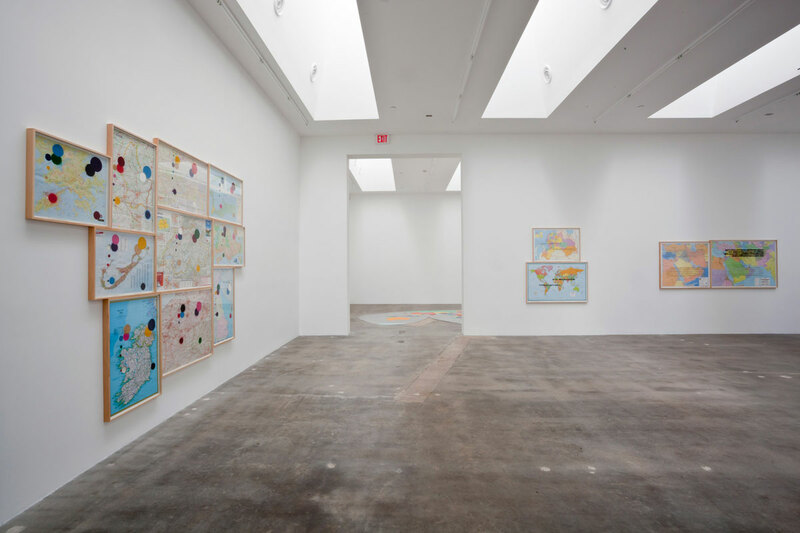 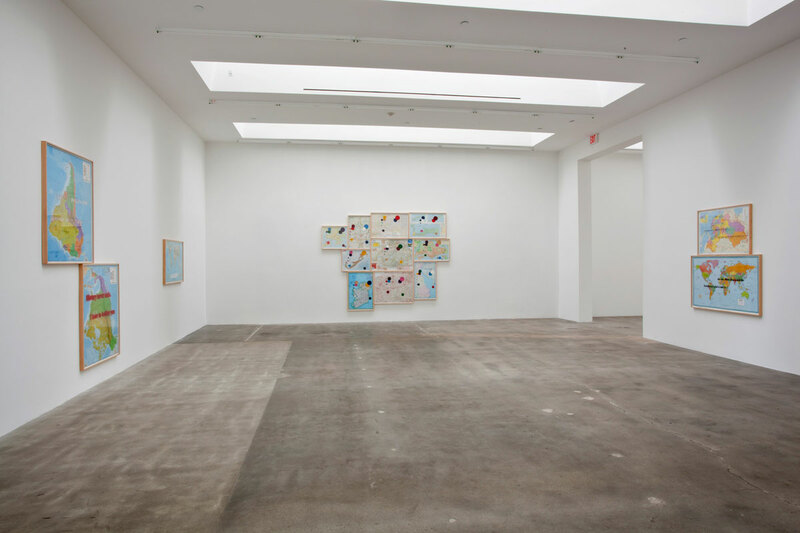 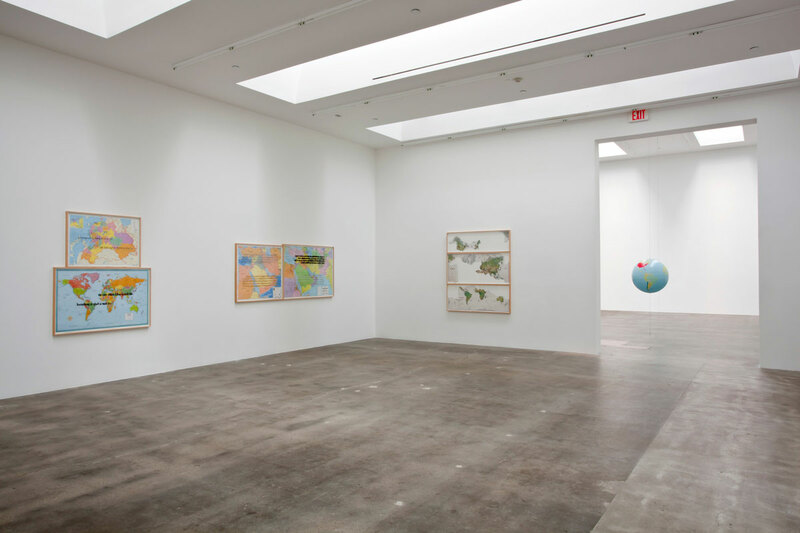 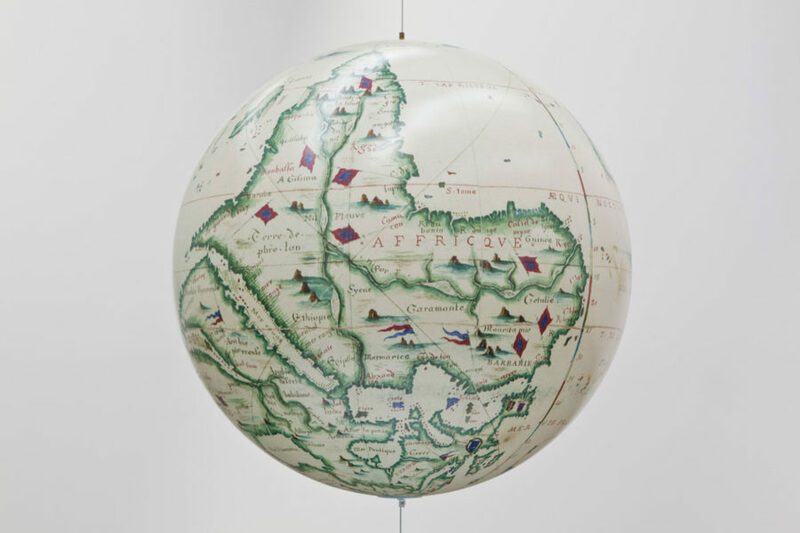 Durant’s work points out that the art of cartography is a political art. 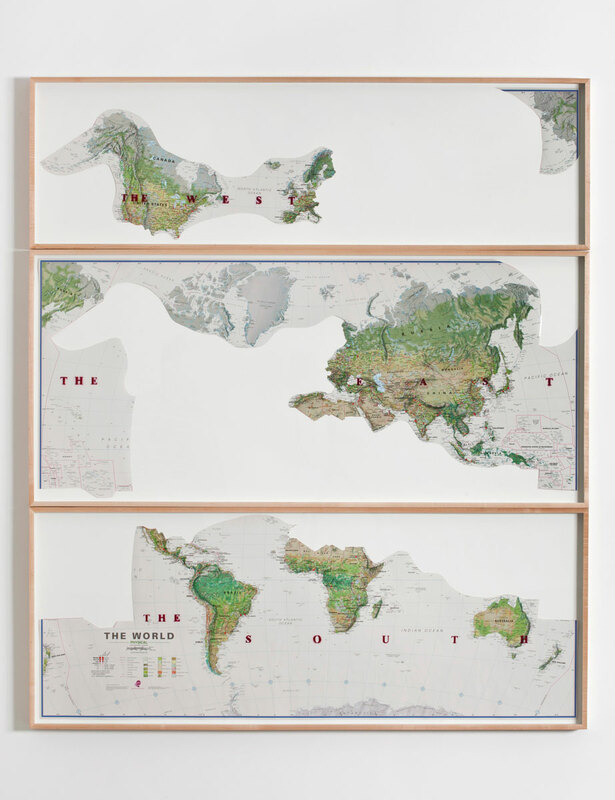 Maps act as tools to portray the world as the maker would like it to be viewed. 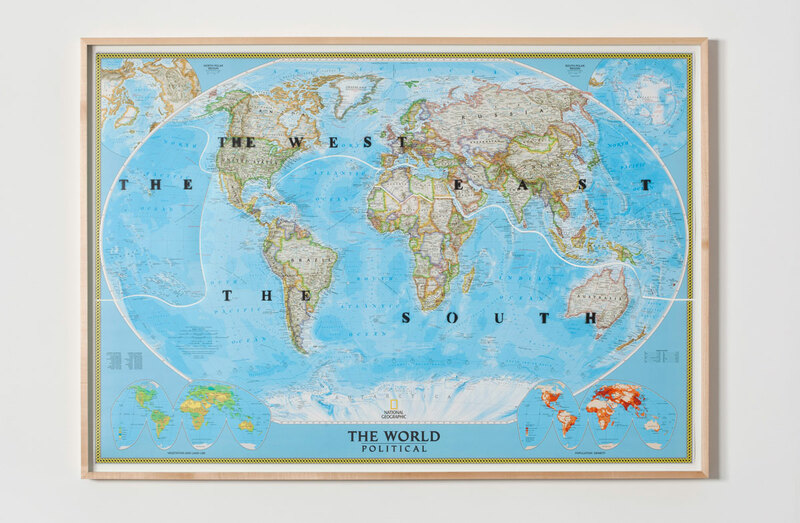 We are taught that maps are scientific truth, but Durant utilizes the medium to visually convey the falseness of this belief.